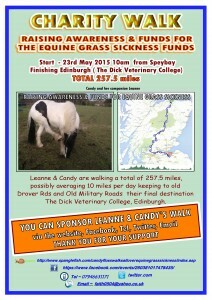 On 23rd May 2015 Candyfloss and Leanne McDonald will start walking from their home in Spey Bay to Edinburgh to raise awareness and monies for research into grass sickness. This is a journey of over 250 miles with a total ascent of over 25,000 feet! They will be walking along old drove roads and military roads, away from traffic and off road as much as possible, wild camping along the route. It will take about 1 month to walk, just taking their time and Leanne will be walking with Candy not riding her. They’re asking for either sponsorship or donations. 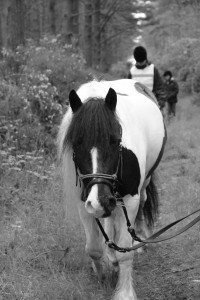 If you would like to join them and walk, ride or wild camp they just ask you please to either get sponsorship or make a donation. You can follow the preparations and their journey on their Facebook page and on their website. Leanne writes: On July 3rd 2013, Candy was diagnosed with chronic grass sickness. This is the mildest form of Grass Sickness, a frequently fatal disease affecting the autonomic nervous system in horses and ponies, producing the main symptom of gut paralysis. Around 50% of chronic cases survive, and so I made the decision to nurse her at home. Candy still had a fight in her eye, and I promised to fight with her all the way, I knew she would let me know if she couldn’t fight any more. We fought together for 16 weeks, trying to tempt her to eat something, anything, tempting her with herbal peppermint tea to drink and administering water rectally every 2 hrs. Candy never lost her fight and she still has it to this day. She is a Grass Sickness Survivor, and we have both dedicated the rest of our days to fighting this disease, turning a negative into a positive, and helping others by raising awareness and monies for the Charity. We’re doing this for the horses. 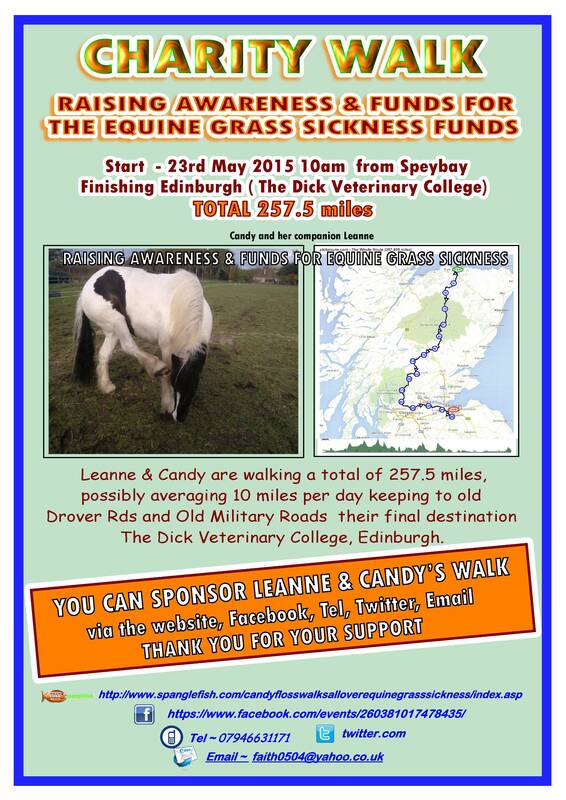 If you can offer any help, such as somewhere for Leanne to pitch her tent where Candy can graze alongside, can donate food, equipment, offer publicity, or would like to walk part of the route with us then please get in touch. 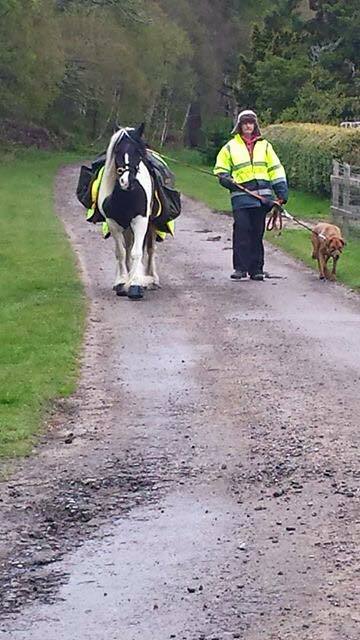 Thank you for your support and please keep your fingers, hooves and paws crossed for nice weather!